Hair Care has taken a serious turn in supermarket aisles this year with brands making more accessible professional quality products and updating their formulas to be better than ever to help us have glossy and luscious manageable locks every day. With so much out in the market, it can be quite daunting to try and find a new shampoo and conditioner for your hair. Let me try and demystify these latest range for you so you go to the beauty aisle armed and informed when you next visit you local store. 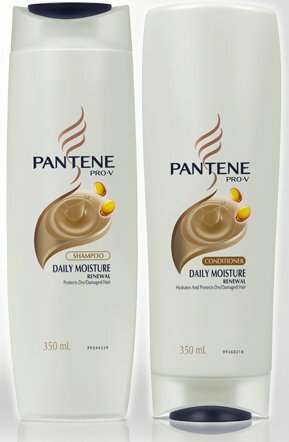 New recharging Pro-V formula, the Pantene Daily Moisture Renewal shampoo and conditioner works more effectively to restore damaged hair back to healthy, shiny looking locks. The new light-weight formula leaves hair feeling supple and shiny but doesn’t put extra weight and there’s less of that slippery dimethicone feeling when compared with its predecessor. This new Pro Series puts professional product normally found in salons into homes and includes a comprehensive hair care and styling line. The range features fruity, floral scent with whiffs of Egyptian pear, peach, roses, jasmine petals and chamomile, mixed with cashmere, sandalwood musk and coconut milk. The styling range (RRP A$7.99 each) comes in Volume, Strong Hold and Max Hold to meet the demands of any style you dream to create. A joint effort from Pantene’s scientist and Wella Professional experts, this range is created to revitalised chemically stressed hair. Contains Pro-Vitamins, three amino acids and Vitamin E to add moisture, radiance and shine whilst strengthening hair with regular use. Range includes Fullness Charge for fine hair, Hydro-Surge for dehydrated hair, and Miro-Repair Revitalising for chemically damaged hair. The trial kit includes a shampoo 40ml, conditioner 40ml and two 15ml rinse off treatment for an extra dose of restorative on a weekly basis. The full size items costs A$14.99 for 250ml and A$19.99 for 5 ampoles of the rinse off treatment. Pantene’s Daily Moisture Renewal is your best bet. It really does leave hair soft, silky whilst adding shine and still leave hair light and full of volume without any added weight. This is my new go-to shampoo and conditioner from Pantene and whilst I was a fan of the original formula, the lightweight feel I get after using this is a welcoming change. I’ve also known a few people who were previously not so keen on Pantene’s normal formula really enjoying the use of this latest range. With my 1 week trial kit, I found the shampoo and conditioner do a fair job of hydrating my hair and keeping it adding shine back to my hair. The stand out for me though is Clinicare’s rinse off treatment ampoles which are amazing for the all round hair rejuvenation that probably needs to happen once every week if you have dyed your hair to oblivion. 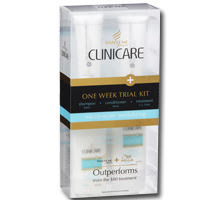 I can’t say that I’ve ever had a $80 treatment to validate whether this range beats that as the product claims, but I personally prefer the salon treatment for the extra pampering experience (I’ve only had A$40 treatments that leaves leave looking uh-mazing but if you are after value, then this at home kit would work for you). The volume range from Wella Pro would be your best bet. You can’t go past the value for money that Well Pro provides in its Shine, Volume, Colour and Repair series – there is bound to be a range here that meets your most discerning needs. My personal pick is the Repair haircare series as I have brittle damaged hair - I especially love the conditioner from this range - it silkens my hair like nobody's business, leaves hair full of volume without any added weight. So there you have it, depending on your hair needs, you really can go any way with these latest haircare offerings. Be sure to check them out next time you pause down the beauty aisle of your supermarket. What is your favourite supermarket haircare range? Pantene, Clinicare and Wella Pro are available at supermarkets and selected chemists now. Product marked * were sent for consideration. I am loving Panetene products. I am using their new nature fusion range and it is beautiful. Very impressed. I'm going to try the Nature fusion one next as its sounds pretty good too. I think Pantene is one of those brands where depending on your hair type, you either love it or loathe it.